No actually, as it turns out. Only via Amazon, and almost never via email attachment. The road to getting most things right as an Indie publisher is a steep learning curve. Knowledge is unlikely to magically appear if you can’t even imagine what questions to ask, and haven’t much of a clue what knowledge is required anyway. Most of us learn from mistakes, both large and small, along the way, and what with the continually changing and growing world of self-publishing, we really are learning all the time. Having up to now had some of my books published for sale on Apple and Smashwords and all the rest, I wasn’t concerned about Amazon KDP Select rules as they didn’t apply. Now though, after MONTHS of working really hard to get them off Smashwords supplier sites, I’m being as careful as possible not to break any of them. I’ve decided that for this year at least, my current books will be published exclusively with Amazon and CreateSpace. With CreateSpace extended distribution my paper books are still sold by Barnes & Noble, and with the perks of KDP Select, I’m very happy with the status quo. One rule that many of us might not have known before, is that with KDP Select you can only distribute your eBooks through Amazon. You can send copies to “professional reviewers”, but not to anyone else. This appears to include not being allowed to send out digital books as prizes in competitions. 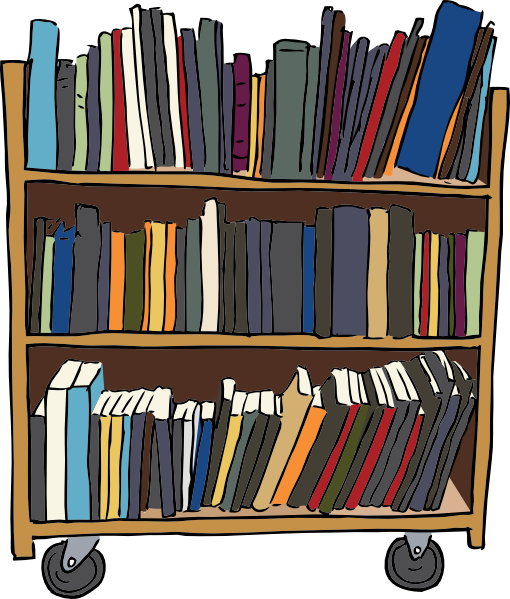 You can only distribute free books via Select’s five free book promotion days every three months. Any eBooks distributed BEFORE you sign up for KDP Select are alright, so don’t panic if you did that while not signed up for Select. You can send your paper books to anyone you like though as prizes – you’ve bought and paid for them after all. You are not allowed to gift any eBook in exchange for a review, and if you do ever review a gifted eBook, make very sure to add a disclaimer to your review on Amazon. You are not allowed to swop reviews. I do review the books of some authors who have already reviewed some of my books, but only when I’ve bought the book, read it, and honestly liked it. I think you’re safe doing this if you don’t do it often, and are also reviewing the books of mostly unknown to you authors, but certainly don’t make review swopping part of your Indie trip, or you could find your book booted out, and your reviews taken down. If you write books on grammar, writing a scathing review of another author’s book about grammar might be taken as breaking Amazon’s rule of reviewing the books in your own field. All in all, with reviews, authors should definitely tread lightly – and certainly read Amazon’s policy on them so as to be safe, rather than sorry. In fact, reading Amazon’s terms before we all zoomed off to publish would probably have saved some of us intrepid Indies a bruised knee or two. I’ve figured out that the two US dollars extra I pay for any eBook I buy from Amazon is for the privilege of having an account there as a non-US citizen, and this is fine with me, because it is a privilege. Buying eBooks from Amazon is a lot simpler (and mostly cheaper even with the surcharge) than buying them around here. I could never figure out why my royalty payments were different for my novels when they had the same prices though, until I got stuck into that old fine print. Turns out that your royalty at the higher rate is X minus relevant VAT minus cost per megabyte book file size. Authors pay for the delivery of their books every time a reader buys them. It’s only cents per MB, but it is a good thing to know when you’re planning on publishing a book chock full of images. One of the biggest lessons I’ve learned along the Indie path, is to always read the fine print, and the best advice I could ever give to a new self-publishing author just starting out on this road, would definitely be to figure out the rules first. Happy scribbling fellow Indies. Nargis-Through My Summers by Sourabh Mukherjee #Free through May 29th. Sourabh has put his short story for free on Amazon right now for a short period of time. What’s better than free and quick, right? “Author Sourabh Mukherjee’s “Nargis – Through My Summers” is a love story that goes beyond a conventional ‘happily ever after’ ending and offers realistic views of the variety of emotions one goes through when love comes calling. The story deals with human emotions that readers will relate to. Many of us have found love when we least expected to, nurtured unprofessed love in our hearts for years, and have struggled to cope with lost love. A slice of life in the true sense, the book takes us on a soulful journey as we relive loves lost or found or nurtured unprofessed in the deepest recesses of our hearts. The Tails of Sweetbrier has won several awards. It was the winner of the Silver Medal in the Feathered Quill Book Awards (2014) and was selected as a finalist for the CLIPPA book awards. The other books written by Deanie are entertaining children’s tales told from the animals’ points of view. All of these books are filled with valuable life lessons. They are beautifully illustrated by her sister, Holly Humphrys-Bajaj. When Deanie isn’t writing, she loves spending time with her family and their dog, Elliott. She enjoys watching equestrian competitions and figure skating shows. Colleen: So Deanie, tell me something about yourself. Where do you live? Are you a full-time writer? Yes, I am a full-time writer, along with being a Mom and wife. We live in Connecticut. Colleen: What inspired you to write children’s books? Have you written other books? My career as an author began rather unexpectedly. I had been anticipating employment as a medical coding specialist, but no one was interested in hiring me without experience. Silly, isn’t it? One day I had a strong intuition to write a story about growing up on our family farm called Sweetbrier. Remembering my Dad’s advice to consider the worst thing that could happen when I was worried about a new venture, I figured if the story wasn’t published, I wouldn’t likely pass away. Sweetbrier.” This story involves overcoming obstacles to realize your dreams, against the odds. It’s an autobiography of the journey I took with my Dad after he made a decision that changed my life. This book proves all things are possible if you persevere. Star and Bentley Bulldog,” are fictional tales told by the animal characters. They’re all beautifully illustrated by my sister, Holly Humphrys-Bajaj. She is an incredible talent. She creates adorable illustrations, as well as book covers for our books. Nothing would be the same without her talents! All of my books are available on Kindle. You can find a free chapter here. 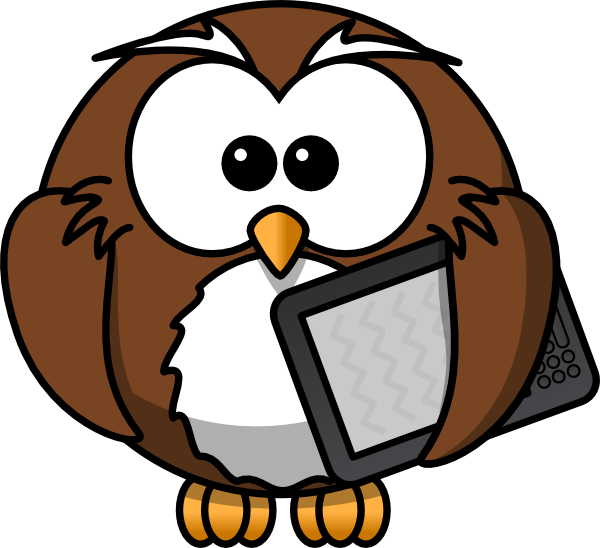 After you read it, make sure and tell Deanie what you think on her blog! Colleen: What messages do you want your young readers to get from your writing? My books are all filled with subtle life lessons that I hope will inspire and entertain children. For example, Charlie the Horse learns he must work hard and set goals if he wants to become a famous racehorse. Charlene the Star is a beautiful red horse who has different skills than anyone in her family. She proves it is okay to be an individual. She also shows it’s important to work hard to develop your natural talents. Bulldog, addresses bullying. It also shows you can change if you realize the need to do so. Readers learn about the animals’ comical thoughts and actions in these stories. Colleen: Who is your favorite author and explain what really inspires you about their work. If I’m reading romance novels, I like Danielle Steel because she is not predictable, and her books are always engaging, in my view. I have many children’s authors, whom I admire. Janice Spina, Sarah Mazor, Yael Rosenberg, and Kathleen Andrews Davis are a few of my favorites. Their books are always entertaining and educational. They also highlight good character. Colleen: Where do you get the ideas for your books from? What inspires you the most in your life? Sometimes I get them from life experiences, as in Tails of Sweetbrier. But I would say most often, I decide what kind of theme I want and then craft a story around that. Deanie Humphrys Dunne ancestral home – “Sweetbrier.” Photographer Unknown. I would say my family is responsible for encouraging me. My parents used to tell me I should write books. Of course, I thought the idea was ridiculous. But once I started, it was fun. My sister, Holly, and my husband, Francis, always encourage me and give me new ideas when I need them, as do our sons. I would like to thank Deanie for letting us get to know more about her and for sharing the information about these delightful books she writes for children. If you have young children or grandchildren you will enjoy reading these books together. The artwork is fabulous and the colors are inviting to kids. The Latin proverb simulac hoc, ergo propter hoc, which may be translated, “everything is the product of its environment,” is the basis for this writing theory. According to this idea authors are like rivers. Rivers do not create water; they receive it from springs and streams. In the same way authors receive their ideas from the streams of thought that are flowing in the corner of the world in which they live. A middle-class Eastern author will receive middle-class Eastern ideas. A working-class Western author will receive working-class Western ideas. To say it another way, authors “are what they eat.” This idea applies to minds as well as to bodies. It assumes that, just as my body is the product of red curry or pulled-pork BBQ (depending on my background), so also my mind is the product of French ideas or American ideas, liberal ideas or conservative ideas (depending on my background). Growing authors, however, will realize this about themselves and seek out ways to “alternate” what they eat (every once in a while). As a step toward becoming more aware of the kind of writer you now are. As a step toward becoming the kind of writer you someday wish to be—take time to consider not only how what you eat may be contributing to your writing, but how what you only eat may also be limiting your writing. Variety adds spice . . . to writing life. If I do my job properly, I am invisible. Very few of us finish reading a novel and say, “That book was beautifully proofread.” And who would want to? A story should transport us, take us out of our everyday lives, excite or move us in some way. We don’t want the misspelling of a character’s name or a missing full stop to jolt us out of the story. OK, maybe that can be forgiven when we’re being swept along by an entertaining tale, but repeated typos and inconsistencies can undermine our trust in the author’s ability to spin a good yarn. When I’m proofreading, I’m always thinking about the link between the author’s words and the reader’s mind. I like to believe that I play a tiny part in ensuring that the story travels cleanly from one to the other. I often find myself asking two questions: “What is this author trying to say?” and “Will the reader understand it?” Using these questions as my focus I spend hours choosing when to intervene and when to step away. It often feels like I’m walking a tightrope. I’d like to demonstrate some elements of this high-wire act, and share with you the types of decisions I make when I’m proofreading fiction. 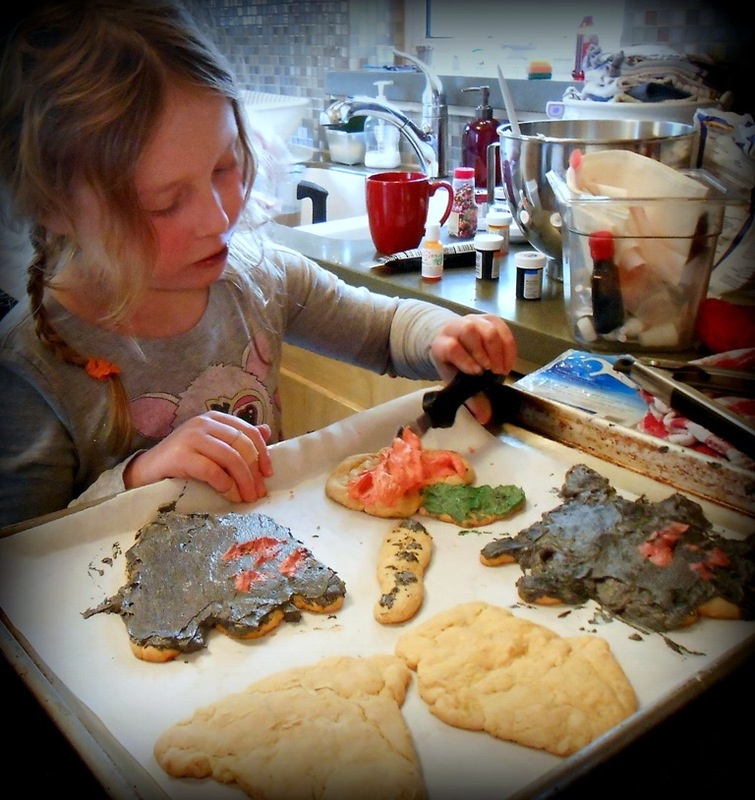 This post inevitably touches on the differences between proofreading and editing, and I’ll say categorically, up-front, no doubt about it, I’m in the troupe that firmly pitches its circus tent in a fuzzy grey area. However, as a general rule, when proofreading I tend to only correct proofreading errors and make suggestions or ask questions about editing issues. So, let’s get down to details with one example of a descriptive passage and a couple of examples of dialogue. The son beat down like a demon, dragging his very soul from his aching limbs. Dirk couldn’t take any more of this dessert. It filled him with a stomach-churning dread. He could be stuck hear for ever in these dessert sands that stretched for ever. The harsh, cruel, unrelenting terrain played tricks on his tired mind and his weak body. Having corrected “son” to “sun” and “dessert” to “desert” and “hear” to “here”, there really isn’t anything else I should go ahead and amend as a proofreader. I would probably add a note to suggest avoiding the repetition of “for ever”, but however much I might want to cut down on the number of adjectives describing the terrain or think that the word “battered” would work heaps better than “weak”, I have to rein myself in because it’s not my job to put my stamp on an author’s work. “How long have you been out there?” The medic enquired. “Dunno,” said Dirk, “L-lost track of t-time,” he coughed. “Take a sip of this,” the medic offered a bottle of water. Line 1: Change “The medic” to “the medic”. Line 2: Alter the comma to a full stop after “Dirk”. Line 3: Amend the comma to a full stop after “this” and “the medic” to “The medic”. Basically I’m ensuring that speech tags and action tags are punctuated correctly. I have a dilemma deciding what to do with the second line. Strictly speaking “he coughed” is action rather than speech and so the comma after “time” should be a full stop and the “h” of “he” should be amended to upper case. However, the hyphens suggest to me that Dirk is coughing as he’s speaking (probably he’s suffering from all the sand that got down his throat after an undisclosed number of days in the desert), so I’d probably leave this, even though the grammar police are probably beating a path to my door as I type. “What about accent? Anything unusual about his voice?” asked the policeman. “English, probably London. Deep voice,” replied Dirk, remembering how the kidnapper tried to intimidate him with his height, his deep voice and rugby-playing physique, but that he whimpered like a baby in his sleep. Here I would guess that the author initially put the detail in the speech, then in a later draft decided to do this via Dirk’s memory, but forgot to remove the detail from the description. It’s not a proofreading error, but I’d query whether the repetition was on purpose or not. Which leads me on to another question I often ask: “Has the author done this on purpose or not?” The most exciting writing breaks the rules, and I need to be alert to the occasions when an author breaks the rules on purpose. A very simple example of this is when an author drops in short phrases rather than full sentences to inject pace and drama. It’s usually pretty clear that the author knows perfectly well how to write a conventional sentence, but has chosen a few choppy phrases to create an effect. I don’t sit there wielding my red pen correcting novels as if I’m a teacher (although I was a teacher long, long ago), nor is it my job to criticise an author’s work or to show off. I’m fully aware that the author of Dirk’s adventure knows how to spell “sun”, “desert” and “here”. They are typos, not a reflection of the author’s intelligence or ability to write. I don’t approach my job in a judgemental way. I do need to tune in and judge how formal or informal the author’s style is and in turn respect the author’s voice. So if an author regularly uses the comma splice or doesn’t punctuate “that” and “which” in the way that I was taught at school, as long as the meaning is clear I won’t change the text. And as long as the use of commas works for a sentence I won’t get bogged down in gradable, qualitative, classifying or coordinate adjectives. Essentially, if the author is getting the message across I try my hardest not to interfere. The comma splice, also known as the run-on sentence, occurs when you use a comma to join two unrelated main clauses. For example, “I enjoy proofreading novels, I spend all day playing with words.” Strictly speaking the comma should be replaced by a semicolon or colon, or the two clauses linked by a conjunction. I have to admit to a guilty fondness for the rhythm of comma splices. “That” is used without a preceding comma to introduce text that is integral to the sentence, whereas “which” is preceded by a comma when the text is not integral to the sentence, which makes sense really. If you’re interested in reading more about those gradable, qualitative, classifying and coordinate adjectives I suggest you set aside an hour, pour yourself a strong cup of tea or a stiff drink and read section 4.3.4 of The Oxford Style Manual (UK) and 6.33 of The Chicago Manual of Style (US). There are rules, and many of them are there to help the author’s words convey his or her intended meaning, but equally many of those rules are made to be broken if the author knows what he or she is doing. A huge part of my job is to judge when to impose those rules and when to keep shtum. Having raised my head above the parapet with this post, I’m now going to wrap myself in my invisibility cloak and return to working on other people’s words. #Interviews-in-Translation. Today Jonás Cobos (@JonasCobos). As you know, I’ve been introducing you to some authors who write in Spanish but whose work has become so popular that is now being translated to English and other languages. Today, I bring you somebody who loves adventures. Jonás Cobos. I’ve found his replies very inspiring and they highlight the wonders a books can achieve. Jonas Cobos (1967) was born in the Balearic Islands, Spain, grew up in Minorca. At 12 years old he discovered a book by Agatha Christie, and that turned him into a bookworm. In 2010 he studied Creative Writing with the writer Holly Lisle. 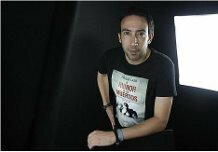 In 2012 he published “Susurros en la Oscuridad” (Whispers in the Darkness) that quickly became a best seller in the terror genre in Amazon Spain. He is one of the first Spanish authors to write in the Steampunk genre. And his book LA CARACOLA DE NEPTUNO (KRAKEN, Steampunk) has become a best seller in that genre. Now his book has been translated to English and Italian. I started writing when I was twelve years old, with the intention of creating new adventures for Hercules Poirot and Captain Hastings, the characters created by Agatha Christie that made me discover the world of books and writing. These were followed by the works of Poe, Verne and H.G. Wells. I started to seriously consider the possibility of becoming an independent writer about five years ago. Following the death of my mother I understood that if I wanted to get into writing and become a writer I couldn’t postpone it any longer, or I would never do it. If you had to choose a single moment from your experience as a writer, which one would it be? During a chat with a reader who worked as a support teacher for children aged 11 and 12, she told me that she used my book ‘Kraken’ to help them read out loud. When I was their same age I also had the same problem and with the help of a teacher I practiced my reading. That was how I first discovered Agatha Christie’s novels. I think that has been my greatest satisfaction, knowing that one of my books is helping children with the same problem I had. What made you think about getting your book translated? Kraken (the previous title in Spanish was La Caracola de Neptuno, Neptune’s Conch Shell) falls within the genre of Steampunk and that genre is much more appreciated and followed in the Anglo-Saxon world than in the Spanish speaking market, so it seemed logical that it would be my first book translated to English. Kraken is an adventure story in the purest Jules Verne and steampunk style. It takes place in an alternative Victorian era where historical events are different from our reality. The Spanish Armada was never defeated and the Spanish Empire spreads across both sides of the Atlantic Ocean. In the novel there are conspiracies, secret societies and submarine travels in search for lost civilizations. Any advice for your fellow writers (in particular for new writers)? It’s very important to take care of the final result. An eye-catching cover, a good description, and, especially regarding translations, it’s necessary to be very careful. I think it’s very important that afterwards the text is checked by native readers who can offer an opinion on the final result. And to give you an idea of what readers think, an opinion of Kraken (Chapter 1 and 2). 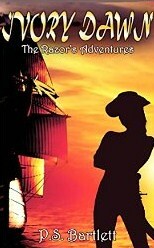 This book, originally published in the author’s native Spanish but now available in English, immerses the reader in a steampunk themed alternate history where the Spanish Armada was much more successful than it was in our timeline, and also raises the possibility that our timeline owes its existence to the interference of time saboteurs. Where other authors give us the trappings of steampunk without real substance, Jonas Cobos infuses his world thoroughly with the substance and spirit of the genre, 110% full of steampunk ideas and motivations. And he did something few other writers have done…made steampunk goggles actually functional tools rather than mere fashion statements. The story follows the exploits of a Spanish secret service agent as he trails a group trying to change the past and destroy the timeline of his own world. Although the book sets up for a larger continuing story, the reader is treated to two self-contained episodes that are fun and satisfying in themselves, as well as an ending that raises expectations for more adventures to come while not leaving the reader dangling. I am looking forward to reading more by this talented and imaginative writer, and in following the continuing adventures of this secret agent as he wends his way through a milieu that has an interesting non-Anglo twist. Thanks so much to Jonás for being our guest today, thanks to all of you for reading, and please feel free to share, like, comment and click to learn more things about the author and his books. A great one to check out. By Chuck Sambuchino. 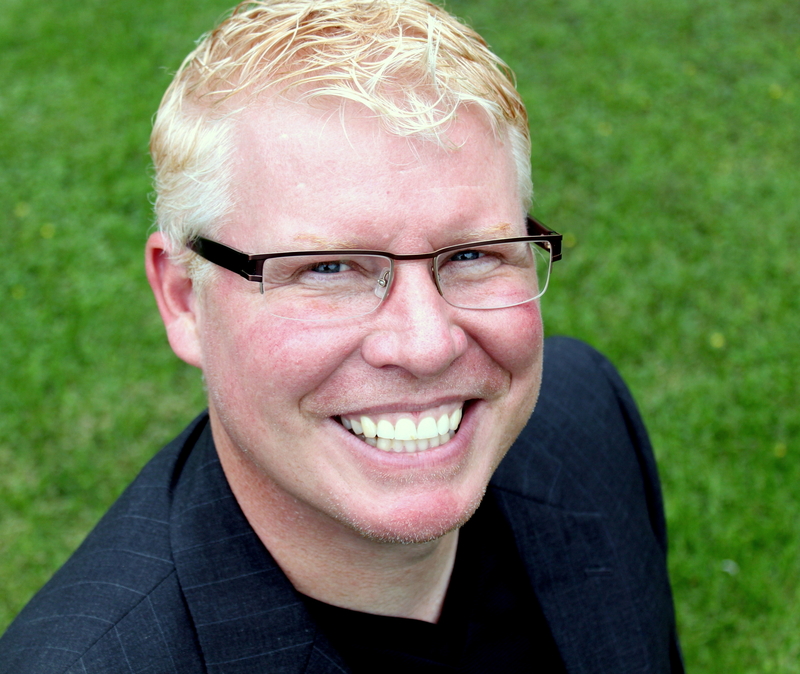 How does a literary agent define their “ideal client”? The question is extremely important because it’s one that factors into an agent’s mindset before and after they sign you. If an agent has read your complete novel or book proposal and wants to sign you, the next step is almost always to arrange a telephone call where the two of you get to know one another. You ask the questions you want to ask about her and her style; she does the same regarding you and your style. During the phone conversation, the agent is trying to gauge whether you’re compatible enough with her to be signed as a new author in her stable. She’s already sizing up whether you can be a good, long-term client, or close to it. “Molly is about to set off on the quest of a lifetime . . . of two lifetimes. It’s 1861 and the Civil War has just started. Molly is an eighteen-year-old girl living on her family’s farm in Virginia when two deserters from the Southern Cause enter her life. One of them—a twenty-four-year-old Huck Finn—ends up saving her virtue, if not her life. Molly is so enamored with Huck, she wants to run away with him. But Huck has other plans and is gone the next morning before she awakens. Thus starts a sequence of events that leads Molly into adventure after adventure; most of them not so nice. Colleen: Andrew, what are the advantages and disadvantages of writing sequels to classics? How did you decide what the adult Tom and Huck would be like? Andrew: In this case there was no disadvantage. I picked two beloved characters—the advantage was the same—everyone loves Tom and Huck. This will probably not be believed, but I felt Sam Clemens standing behind me as I wrote this yarn. He wanted to write a sequel to Huck and Tom and I think he started to do so. However, he never finished it. Perhaps he used me as his instrument to get it off his chest, so to speak. In answer to your question, I don’t know how I decided to make Huck and Tom gunslingers in the Old West. The book wrote itself. But if you repeat that, I’ll deny it. After all, I’m the genius here! Colleen: What is the single biggest challenge of creating the settings in your novels? Andrew: I always write my settings from places I’ve been and experienced firsthand. So, that does not present a challenge for me. I don’t know about other writers, but I start a novel knowing the first sentence and the last paragraph. Then all I have to do is come up with 100,000 words to fill the space in between. That is the easiest part. I let my characters take me where they want to go. I may have something in mind for them, but when we get there, they may take me in a whole different direction in which I am more than happy to follow. Colleen: O.K. Andrew, who would you most like to sit next to on an airplane? Andrew: I don’t fly anymore. But if I did, I’d prefer an empty seat. If I couldn’t get that, then I reckon Jesus would do. I’m sure he would have some good stories. Colleen: Who would play you in the movie? Andrew: Depending on the day, either Matthew McConaughey or Jabba the Hut. Colleen: What is the one thing you can’t live without? Colleen: What’s the best writing advice you’ve ever heard? That is some damn good writing. And when you read stuff like that you can’t help but become a better writer. Colleen: What are you working on right now? Andrew: Making a big, tall drink that is 90% vodka. Thank you for this fabulous interview, Andrew. It was great learning about your novels and getting to know you better. I really enjoyed knowing your inspiration came from Mark Twain himself. If you love historical fiction based in the American old west, you will love Andrew’s books! Many web owners sell books directly, and sometimes exclusively from their sites, collecting one hundred percent of the price via PayPal. If you publish with Amazon KDP Select, this is obviously not allowed – in fact, if your book is with Select, you are only allowed to distribute the digital books through them, and only the selling of your paper books after ordering them from your POD supplier is considered kosher. If you’re not with KDP Select you can sell them anywhere you like, so the website option then becomes viable, and a very good idea too. As an independent publisher you get to try a variety of avenues for selling and marketing your books. We all know about Smashwords and all the other sites where you can make your books available to buy. It’s quick work to load them up there – although – not such quick work to get them taken down by the way. I unpublished two of mine from Smashwords months ago, and I’m still trying to get Barnes & Noble to remove them from their site so I can enrol them in Select again. So there are all these options open to you for spreading your books far and wide, but do consider having one or two for sale directly from you. I’m in the process of getting a couple ready for this very thing. Many of us use WordPress.com. Me, because the thought of hosting my own website terrifies me, but moving to WordPress.org in the future will be necessary because of Google visibility. You can’t install a PayPal button and sell your books from WordPress.com, although that needn’t be a hindrance. Why not set up your own website with a link to it in your sidebar? Setting one up is only a little work to begin with, and then occasional updates after that. A nicely designed static website is a great thing to have to use for all your future promotions, sales, new releases, and a great way to showcase yourself and all of your books. A couple of free website hosts are Weebly, and my favourite, Wix. It shouldn’t take you more than a day to get it looking nice and professional. One little tip though – take your time picking your theme and theme fonts, because once you publish and go live you can’t change those. It’s up to you how much you use your website. You have the option of a blog to go with it, which you can use weekly, bi-weekly (or not at all), and share links to pages from there to all your social networking sites regularly, so it needn’t be something that stagnates. Wix has a lot of really lovely, and easy to use features, and setting up your PayPal button is the work of minutes. Once you’ve got your book written, proofed, and beautifully formatted, convert it to an eBook format (or a selection of formats, such as PDF, Mobi, and ePub) using free downloadable software such as Calibre. Calibre is a great tool for Indie authors to have, with many useful functions other than book conversion – which is a whole lot more words, and best kept for another day. The important thing is how easy it is to use, with step by step instructions, your books will be ready to sell very quickly. Obviously these books will not be protected from customers emailing copies to their friends, but the same applies to every eBook you ever send as a prize or review copy, so that is a thought – the ever present and growing piracy. The customers who do buy it from your website are unlikely to be buddies with each other though, so you probably won’t lose any sales if they do send it on to their grannies and so on, and pirates prefer not to spend a dime at all mostly. Whether you write something specifically to sell yourself, or experiment with a book you’ve already written that may not be doing so well, it is always an option for the Indie writer. Some authors are making a lot of money this way, especially those in the health and recipe book sector, so if there is a book lurking in you that would help or add value to readers enough for them to buy straight away, rather than taking the time to look for it online, go for it! I personally can vouch for the quick finger of the impulse buyer, and I can’t think of one bought this way so far that I regret buying, and the more you are spread around, the more visible you will be – always a good thing. #Free Ivory Dawn by @PSBartlett #Pirates #Women Help hit #1. Help PS Bartlett and me out. Go to Amazon and get this FREE short story today. I need everyone to help make this short story book, about 20 pages, hit #1 in the Free category on Amazon. Right now it’s #5 but has been #3. It’s a quick read, it’s adventure, pirates, FREE, and it’s part of the series that will one day have my name on one of the book covers as Author. The more success these books by P.S. Bartlett has, the better chance I have of getting published. It’s FREE right now, and tells you some of how Ivory and her cousins became the Bad *** Women they are. REBLOG, SHARE, TWEET This post. Help us out. *A copy of this book was provided by the author in exchange for an honest review, which follows. The first time 18 year old Molly Lee meets “Lieutenant” Huck Finn and “Captain” Tom Sawyer it is 1861. The Civil War has just begun to rear its ugly head. Little does Molly know that this chance encounter with the two soldiers will change her life forever. When a Yankee soldier attempts to commandeer Molly’s virtue and cause harm to her family, 24 year old Huck Finn comes to their rescue. Molly falls head over heels in love with the dashing Huck. She begs to be allowed to follow him when he leaves her family farm. Molly begs, and begs, finally wearing Huck down long enough to say that she can accompany him the next morning. When Molly awakens that fateful day, on July 23, 1861, it is to the realization that the two men have left without her. Not to have her love denied, Molly saddles a horse and sets forth on a trip of a lifetime to find the man she loves. The adventures of Molly Lee take her from Virginia all the way to the Montana Territory. Spanning her life from 18 years to 56 years, this is her story. From whore houses to school rooms, Indians to cattle drives, Molly Lee pulls you into the saddle of the life adventures of a woman searching for the man she loves. I loved the way Andrew Joyce portrayed Molly. She is a strong, independent woman, not afraid to say what she thinks. When Molly loses a lover in a catastrophic fire, I thought she had reached the end of her rope. Instead, she finds the courage to go on with her life, always searching for the elusive man of her dreams, Huck Finn. 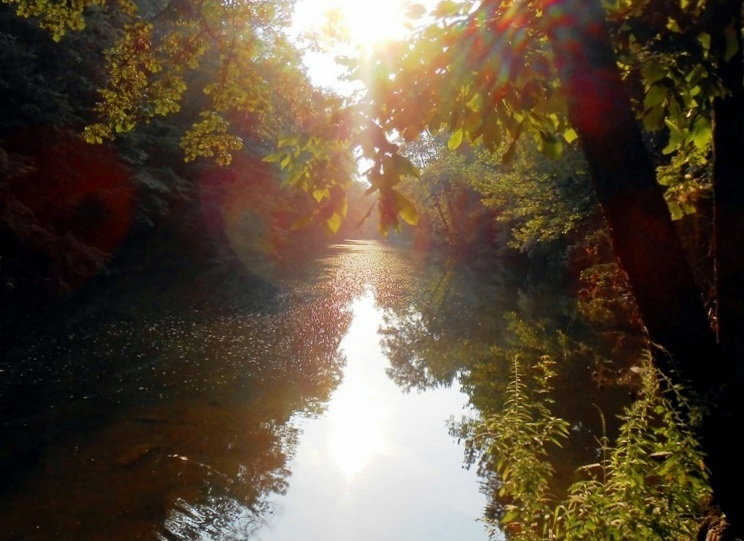 The drive and ambition to find Huck Finn take Molly through many challenges and heartaches. To me, her ability to live by her own wits and survive, reminded me of the heroes from the old fashioned Western books I read as a young woman myself, written by Louis L’Amour. Joyce writes in an easy, smooth, flowing manner. I especially enjoyed the portrayal of the cowboys and the cattle drive, as I experienced some of the same practices still in use today when I worked for a Montana cattle ranch some years ago. A few times, I know I felt the rush of the wind, and tasted the dust in my mouth, the descriptions were so perfect. It should be noted that this book is a sequel to “Redemption,” also written by Joyce. However, not having read the first book, I felt this book stood alone in its own rights as an excellent read. I enjoyed this rough ride through American western history, as seen through the eyes of a woman. Molly’s unique perspectives on life give credence to the belief that if you want something bad enough and keep working towards it, you will eventually get it. Oh, and there are whispers… Joyce is writing another book called, “Huck and Molly!” I can’t wait to read it! Do you like to travel? Then jump aboard, because “Trails in the Sand,” immediately propelled me into the Deep South to the state of Florida where mangrove swamps and the Gulf of Mexico beckoned and lured me into their mystique. Grab a fan, it might get hot! The story begins with a mysterious death in 1956. It is that one single event which brings to the forefront long buried family secrets with roots deep in the sands of time, and laid to rest in the true southern tradition. These secrets reveal a pivotal connection to past and future events. 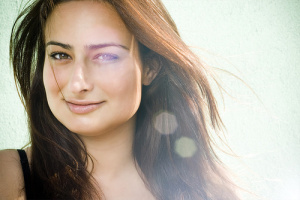 Caroline is the protagonist, an environmental journalist who left home as a young woman to pursue her dream of writing. Caroline’s sister focuses on betrayal with the love of Caroline’s life, Simon. The sister manages to marry Simon, instead of Caroline, who vows to never return because of her broken heart. Years later after Caroline’s sister dies, Caroline and Simon are reunited in their friendship and love for each other. They marry, and revel in their new found happiness. Their lives are finally complete. To complicate matters, Simon’s adopted daughter is resentful of her Aunt Caroline marrying her father. This leads to family strife and disagreements. However, nothing is as it seems in this tale of family intrigue. Those family secrets haunt the family and eventually lead them on a journey to discover the truth and to find acceptance from the past. Throughout the family struggles that ensue, Caroline the journalist, is embroiled in the reporting of the BP oil spill in the Gulf. 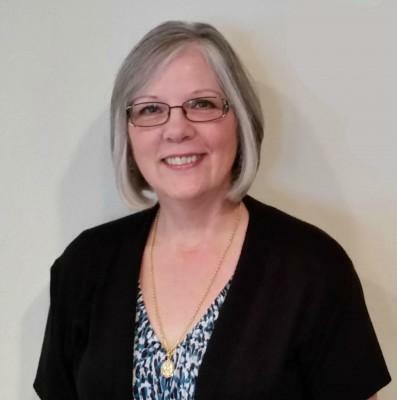 Her skill in writing about environmental disasters shows firsthand the death and destruction that was forced upon the wildlife in the Gulf area. At immediate risk are the endangered sea turtles whose existence is paramount to the survival of the species. I absolutely enjoyed how the author was able to weave current events into the story. The Deepwater Horizon Oil Spill, and the events surrounding the Massey Mine accident were integral parts to the telling of this story. The survival of the sea turtles is a vital issue where I live in Pensacola, Florida. The rich descriptions and explanations of their plight renewed my interest in environment concerns along the Gulf Coast. Our own Gulf Islands National Seashore offer volunteer opportunities that I now wish to explore since my awareness of the issues that affect native wildlife. The family struggle that was at the central heart of the book endeared me to the characters. I was able to identify with the crippling family treachery and how it almost destroyed them all. Beyond that, I found that I wanted these characters to succeed and heal from the toll the deception had on all of them. I found that I could not put this book down. I wanted to keep reading until I reached the last page. I was woven into a web of deceit and scheming from the portrayal of the characters. I found it hard to pull away, I was so drawn in. It seemed as if the characters haunted me from afar. I literally read this book in about three nights. 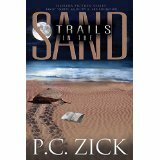 “Trails in the Sand,” is part of P. C. Zick’s “Florida Series,” which includes the following books: “Tortoise Stew,” and “Native Lands.” I read all three books at the same time, and this was my absolute favorite. I promised I’d bring you another interview with an author who’s well known for his books in Spanish. Although to tell you the truth, our guest today, Enrique Laso, is well-known everywhere, as he’ll explain himself. He’s a very driven author and when I met him I was sure he’d be a fascinating subject for an interview. I also asked him to talk to us about his most recent novel available in English. So here he is. I was born in Badajoz in 1972. I have lived in Badajoz, Murcia, Valencia, Barcelona and Madrid. Thanks to my profession and to an eagerness to travel that has been a part of me since my childhood I have had the chance to visit more than thirty countries in the five continents. 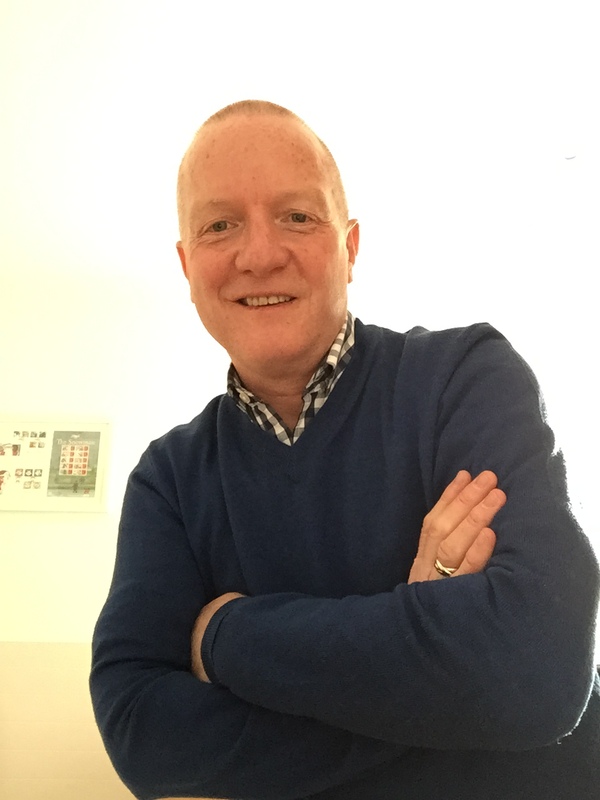 After a break of 10 years, having won several awards as a teenager and having published three books then, in 2005 I resumed my literary career. That year I published a novella ‘Desde el Infierno’ (From Hell), adapted for the cinema in 2014 by Luís Endera, I wrote some special collaborations sporadically for newspapers and several magazines, and I created my first blog (http://www.owachy.com/). At the moment I’m busy with several projects, of which the most important are the novels, Cataclismo, The Tesla Mystery and Heaven of Happiness. My latest novels have been published under several pseudonyms, the majority unknown to the big public. The only one I’ve revealed to this date, and therefore I don’t mind mentioning, is Henry Osal, whose writing is focused on self-help manuals and personal development. My most successful novel, El Rumor de los Muertos (The Rumour of the Dead), with more than 130000 digital copies sold, is available in paperback in all big bookshops since the autumn of 2014, published by MR (Planeta). 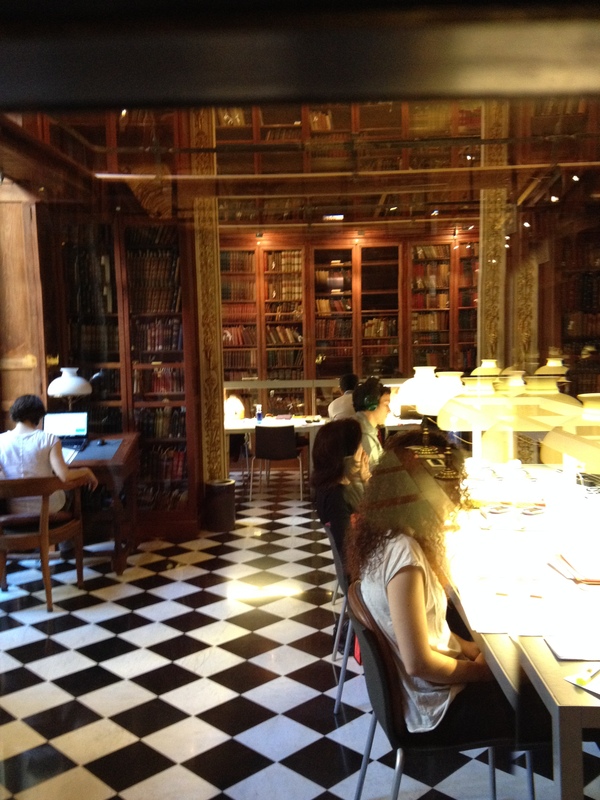 It has been recommended by writers such as Juan Gómez Jurado, Bruno Nievas or Blanca Miosi (yes, our guest last week!). I have sold, to this date, more than 300000 books, many of them available in Spanish, English, French, Italian and Portuguese (I’ve been translated to 12 languages, including the books written under pseudonym), I’ve won a large number of literary contests and I’ve published over fifty newspaper articles. How and when did you start writing? When I was eight years old. I was an avid reader, and a slightly introverted boy. I wrote a novella called ROCA (Rock) about a young lad who wasn’t able to communicate and ended up becoming a rock. It was a way of expressing myself and communicating my feelings better. Describe briefly your experience as an independent writer. Fantastic. The truth is that although I’ve published with four different publishing companies, I carry on publishing independently. I have received many offers to sign long-term writing contracts, but I think I’m better off free. Nowadays an author has many more possibilities and more strength when it comes to negotiating. What’s the moment you remember more fondly (so far) of your experience as a writer? There are many. But I think the day when I found myself number 1 in Amazon.com for the first time it was the most emotive, because of what it meant (and, in truth, from that moment on my life changed for the better). What made you decide to get your work translated? Amazon encouraged me, and also many of my readers from the USA did the same. They thought my novels would be very successful in other languages and they weren’t wrong. I’ve been N.1 in several categories in Amazon, iTunes, Google Books, and Barnes and Noble, in English, French, Italian, German and Greek! THE BLUE CRIMES is a thriller, police procedural story, full of intrigue. From its inception I thought about the American market, and in just a month I’ve sold hundreds of copies and it has received 7 reviews (all very positive), among them one by one of the TOP-100 reviewers. Set in the ‘deep America’ it tells the story of the investigation of the murders of two girls, who are found near a lakeside by a promising agent of the Unit of Behavioural Analysis of the FBI. It has been compared with successful TV series such as CSI, Criminal Minds, Twin Peaks or True Detective, and that’s fantastic. They are very typical, but the truth is that they work. -To not dismiss marketing or think it is not part of the job. A SUPERB CRIME NOVEL. GRIPPING FROM START TO FINISH. Two bodies found in a lagoon. A promising FBI special agent. A crime that occurred almost twenty years ago. A convoluted mystery novel that grabs you. If you enjoyed novels like ‘The Silence of the Lambs‘ or TV series as ‘Twin Peaks‘ or ‘True Detective‘… this is the story that you have been waiting for. By the time they called me, a whole week had passed since the second body had been discovered. This was a setback as much of the evidence would have disappeared by now and I’d have to work with what little evidence the local police, unaccustomed to these types of crimes, would have been able to collect. Luckily I had been allocated a competent enough CSI unit and as we flew from Washington to Kansas City International Airport, we imagined, quite rightly as it turned out, that the crime scene will have been spoiled by dozens of well-meaning but clumsy Deputies. Enrique has also left me with one of the reviews, to give you some idea of the opinions about it. Enrique Laso was born in Badajoz, the capital of the Province of Badajoz in the autonomous community of Extremadura, Spain, situated close to the Portuguese border, on the left bank of the river Guadiana, in 1972. Although professionally he has always been linked to the world of marketing and communication, literature is his true passion. 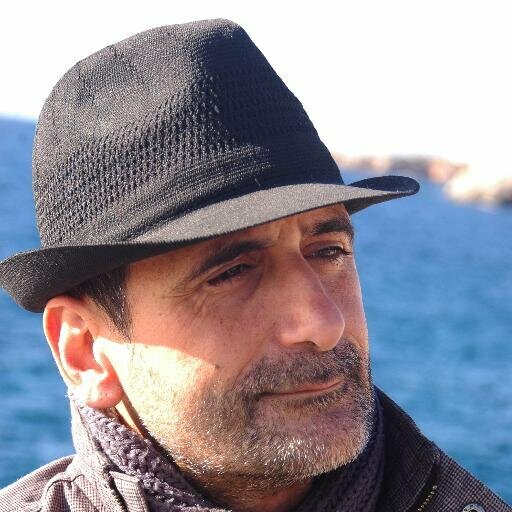 He began writing in his teens and in 1994 won the Murcia youth national prize for his poetry collection ‘Lost children’. In 2005 he published the short novel ‘from hell’, adapted to film in 2014. He has published several novels under pseudonyms, the only one revealed by the author is Henry Osal who has signed several self-help manuals. ‘The sound of the dead’ is the novel with which he has had more success. It has sold more than 250,000 books and has been translated into 12 languages. He has won numerous literary competitions throughout his extensive literary career. For personal reasons, he did not write for almost ten years, until in 2005, when he revived his passion, and since then he has dedicated himself to writing whole-heartedly. Thanks to Enrique for agreeing to come and be interviewed, thanks to all of you for reading, and you know what to do, like, share, comment and CLICK! I’m guessing everyone will have an answer to this question, but what do you think makes a good book good? After all, we have all started reading a book which we never finish, usually because we don’t particularly like the story, but what is it that makes us read a book right to its end? As writers and authors we could all put a list together and, I’m pretty sure, we’d all have lists where many of the answers would match up. Without a doubt answers such as the cover, the opening paragraph, the way it is written, and the genre would appear, but if I were to ask you to choose just one answer, what would it be? Eighteen months ago I would have given you a completely different answer to that I am going to give you today, because eighteen months ago I was hardly writing anything apart from the occasional greetings card, shopping list, or message. Back then I would most definitely have given my answer as the genre of the book, because just about every book that was Science Fiction and included time-travel would, in my opinion, be good. Then, just over twelve months ago, I began writing my own short stories and, over time, my answer has changed. Simply by putting pen to paper, or fingers to keyboard, and writing short stories, I now find myself not considering some books good unless they have cliffhangers at the end of some of the chapters. The cliffhanger spurs me to read on. I’ll look at the clock and it may be well beyond midnight and I have an upcoming early appointment in the morning, but if I’ve just finished reading a chapter and there’s a cliffhanger involved, then I’ll read on. I also like to come away from a book or short story where the author has given me the choice to decide for myself what may have really happened. Some authors have a wonderful way of letting the reader decide for themselves and I have always been interested with the answers given back by the readers. They are often very varied with maybe a few crossing paths. As authors and writers we all have incredible imaginations and most of us will come up with some wonderful imaginative answers, but I wonder how many of us would come up with exactly the same answer? Most literary criticism is concerned with what authors write. The idea of strategically using silence in your writing, by contrast, is concerned not so much with what authors write as it is with what they do not write. When it comes to writing a book, here are a couple of questions every author should consider: Is it sometimes better to leave things a little open ended? Or should you absolutely, every single time, try your best to describe every tiny detail your vivid imagination can divulge? Do you leave room for your reader’s imagination to have a life of it’s own? Or are you, perhaps, limiting the imagination of your reader by over doing it? Do you have adjective-itis? “That was the curious thing,” remarked Sherlock Holmes. The main weakness about this idea that silence can be golden, of course, is that it fails to take into account the way books are actually written—with adjectives. But when is enough enough? That’s the real question to consider. The dawn. The pilgrimage. The dust. What comes to mind when you think of the dawn? Awakening? A new day? Who woke-up? A teenager? A married couple? Whoever/whatever it was inspired a pilgrimage. What kind of pilgrimage? Spiritual? Adventuresome? Why dust? You get the idea. So the next time you want to include more because you feel a strong urge to tell your readers more about how Smith furrowed his brow and glared with genuine distrust at his shimmering spoonful of crimson colored magic tonic—NyQuil—force yourself to leave out the extra things you think you should include. There will be plenty of opportunity in your book for you to write more—but sometimes less is the golden rule you should follow. As you’ll remember I promised you last week that I’d bring you interviews with some well-known independent writers I’ve met in groups of writers who first and foremost write in Spanish. As some of them have had books translated to English in recent times, I thought it was a good opportunity for you to get to know not only the writer, but also their work. 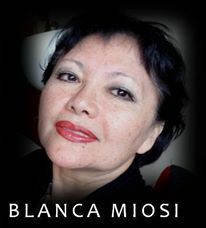 Today, I’m very pleased to bring you Blanca Miosi. Although she’ll tell you more about herself, I can tell you that she’s one of the authors that many independent writers see as their mentor, as she has worked hard not only to share her knowledge with others but also to promote her colleagues and help them along in their careers. Born in Lima (Perú) of a Japanese father and Peruvian mother, Blanca Miosi has been living for the last three decades in Venezuela. She is the author of Waldek, the boy who confronted the Nazis a novel based on the life of her husband, a survivor of the Auschwitz and Mauthausen camps. First published in its original Spanish as La Búsqueda (Editorial Roca) the work received international acclaim and won the 2007 Thriller Award. In 2009, Miosi published El Legado (Editorial Viceversa), a family saga based on Erik Hanussen, the notorious Berlin clairvoyant and personal counsel to Adolf Hitler. 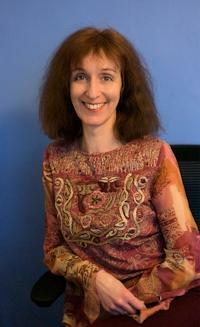 In 2011, and as an independent author with Amazon.com, Blanca Miosi published La búsqueda, El Legado, Dimitri Galunov, El Manuscrito I. El Secreto; El Manuscrito II El coleccionista and Amanda. Her novels occupy first ranking positions among Amazon’s best sold titles in Spanish. Her next launch : El rastreador. I started writing in 2001, suddenly, about an idea that had been going round in my head for several days. I simply sat down and started to write. Since that day I’ve never stopped. Describe your experience as an independent writer. It is one of the best experiences in my life, much better than what happened to me when I published with publishing companies. From the moment I made that decision, my life as a writer took on a definite and momentous course. All my books are now published in Amazon, I control my earnings, the sales and can make the changes I choose. What’s the moment you remember most fondly (until now) of your experience as a writer? The amount of time my book ‘The Manuscript’ stayed in the first place in the rankings in Amazon.com and Amazon.es. I simply couldn’t believe it. It was the first time one of my books had reached so many people. Then, ‘La búsqueda’ (the Spanish original version of ‘Waldek’) was number one in all categories in Spanish for fourteen months. It will always be an unforgettable time for me. What made you think about translating your work? I had always wanted to enter the English market, as I believe my novels have international themes that could be of interest for the general public. My fellow writers are as knowledgeable as I am, as we started down this path together. To new writers I would tell them not to publish before they have revised and edited the book well. One shouldn’t waste any opportunities, as they might not come around again. A badly written book will rarely have a second chance, even after being edited and reviewed. I asked Blanca to share one of her books with us. The book is called ‘Waldek. The Boy Who Defied the Nazis’ and tells the story of Blanca’s husband, Waldek Grodek, who was a concentration camp prisoner as a child and survived to tell the tale. Waldek, The Boy who Defied the Nazis (La Búsqueda in Spanish) chronicles the dramatic and heroic story of Waldek Grodek, who experienced first-hand and at a very young age the German occupation of his native Poland. Many decades later, while visiting the UN offices that granted compensation to the survivors of the Nazi concentration camps, Waldek reflects on the events that started when he was made prisoner and taken to Auschwitz and Mauthausen and, in the years following his liberation, subjected him to the whims of European and Latin American totalitarian regimes, international espionage and the Mossad. Waldek Grodek is a memorable character whose unique perspective and amazing life story deserves to be told. After more than 154 weeks, Waldek, The Boy who Defied the Nazis (La búsqueda) still occupies the top 10 ranking on Amazon Spanish language. A thriller that is well worth reading. 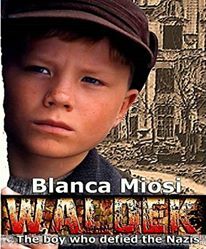 “I feel so happy that Blanca Miosi’s first novel translated into English is “Waldek, the boy who defied the Nazis”, published in Spanish with the title La búsqueda (The Search). I have read several Miosi’s novels. She is a great storyteller, but this one is her MASTERPIECE. The novel begins with the story of a Polish Catholic child, her husband in real life, which was in the Nazi concentration camps. Anyone could say: Another sad and devastating history of concentration camps! But no, in this novel the story begins just after that. How to survive? What gives meaning to life? It is the search for meaning what defines the story. Waldek by well-known (to the Spanish reading public) author Blanca Miosi is the chronicle (novelised) of a life. It is indeed a novel but based on a first-hand account by Waldek Grodek of his life. The volume I discuss is the translation of the author’s bestseller La búsqueda (The Search). All lives are extraordinary but some (be by design, by good or bad luck or by fate) are more extraordinary than the great majority. This is one of them. Waldek was born in the wrong place at the wrong time (or maybe not, it depends on your point of view). Being born in Poland and being a teenager at the time of Hitler’s invasion is not very lucky. His decision to be actively engaged in the resistance (however modest form it could take at such young age) could be seen as the first of many unwise (or at least detrimental to his own well-being) decisions he would take over his life. It lands him in a concentration camp (first Auschwitz and then Mauthausen). He manages to cope with his experience by focusing on survival at all costs and trying not to think too far back or ahead. This portion of the book is fascinating but hard to read, no matter how many books on the subject and personal accounts you have read before. Indeed it’s true that each person’s suffering is different to anybody else’s, and so are the defence mechanisms they use to survive. I will not go into detail about all the adventures Waldek goes through in his life, but let me say he travels to South America, he sees success but also poverty, he is forced to live in circumstances not of his choosing more than once, but he survives. One of the qualities of this book as that it succeeds in not turning the protagonist into a hero or a Saint. He remains a human being, who might not fully understand or like what he feels he has to do, who is not always consistent, and who loves and hates at times against his best interests and irrationally. He remains a complex and credible human being, even if not always a likeable one. Personally we might question some of his decisions, his expressed thoughts and ideas, and wonder how many of his sometimes surprising reactions and attachments might relate to his early traumatic experiences, although he never allows himself any excuses and pushes on. Novels like this one, that take place in recognisable historical times and situation, make us question what would we do. And if we’re honest with ourselves, we might not like the answers we get. Would we be more generous or less? Would we take more risks, or fewer? Would we be as naïve? Would be have pursued justice at all cost (even our own), or decided on forgiveness? Can we truly know? This being a first-person narration it presents a very specific perspective on the events and we can’t but question how much the narrator tells us and how much he censures. I did feel that there were many things I didn’t know or heard about, and those will keep me thinking, and that’s something I appreciate in a book. However accurate we might believe all the details are, the story is a page turner, and no matter what our personal feelings for the protagonist might be, we want to know what happens to him and try to solve his puzzle. Blanca Miosi writes fluidly, with enough detail to allow us to create a mental picture of the locations and people, and she is particularly skilled at making us hear Waldek as if he was sitting next to us telling us his story. I understand that the author tried at first to publish the story (of her now dead husband) as a personal account and was told by a publishing company that those did not sell very well and they would only be interested if it were a novel. Several years of hard work resulted in this book. The novel is not only Waldek’s journey through life, but also Blanca Miosi’s search for her literary voice, and it is a success in both accounts. If you dare to go on this journey with Waldek and the author, I’m sure you won’t regret it. See what you discover. Thanks so much to Blanca for sharing her views and her work with us, thanks to you all for reading, and you know, please, like, share, comment and CLICK! Ali Reads Aloud Video: Please Watch and Share! Alienora shares her youtube video of her reading parts of her books. Yes, you get to HEAR and SEE her. There might be some humor involved. I take no responsibility in the making of this video or its content. Not all red haired people are related and thus not responsible for each other. Listen at your own risk. You may be inclined to purchase a book following the listening of this material. Everyday I Write the Book. I thought today would be a good day to share a little fun here on LWI. A bit of Tuneful Tuesday as it were. I am sure that is a thing somewhere on the web. Sorry, I don’t research that type of thing often, too busy with researching for books and articles. Today I wanted to give you a little diddy by Elvis. What better love song for a writer than this? Enjoy. Notice he doesn’t give an ending to the book, he leaves it incomplete. Sounds like a true writer to me. As you well know, here in Lit World Interviews we love to bring you news and information about authors, particularly independent authors, and their work. I have met many authors through the interviews, reviews, and features, and always enjoy the advice and tips on writing that a number of experts (I’m not one of them) offer us. Some of you must know I’m originally from Barcelona, Spain, and I’ve always published my books both in English and Spanish (and have always done my own translations. More recently I have started translating other writers’ books too. See here if you want a bit more information). Thanks to that, and to the kindness of many of my colleagues in social media, I’ve met many writers. In some ways, knowing people who publish majoritarily in English, and others whose first language is Spanish, I feel I’m in the position to be a go-between, and introduce you all. I get to read great books in English that don’t exist in Spanish versions, and I feel bad that some of my friends and fellow authors might not get a chance to read them, and the opposite is true too. I’ve read fantastic books in Spanish, some of them great successes at an independent level, that are not available to the English reading public. Some writers have been lucky to have their books picked up for translation, or have decided to get them translated at their own cost, and I thought I’d make use of my connections to bring you interviews with some of those authors. I hope you’ll enjoy meeting some of my writer friends from the other side of the language divide.